“He felt the mass of mankind mighty in its numbers. They swarmed numerouslike locusts, industrious like ants, thoughtless like a natural force,pushing on blind and orderly and absorbed, impervious to sentiment, tologic, to terror...What if nothing could move them?” The Secret Agent, by Joseph Conrad. In a project like the University of Life, there is a fundamental, buthidden, question. How do you - is it even possible to - engage people incomplex ideas? Two of my greatest reading experiences have been James Joyce’s Ulysses,and Bertrand Russell’s History of Western Philosophy. Both are recognizedas being extremely original - high points in the almost three thousandyear history of literature. Nonetheless, nowadays at least, very fewpeople read them. Are people now so superficial and self-absorbed that any attempt toprovide a comprehensive education about life is doomed to fail? At leastin Joyce and Russell’s day (they were born ten years apart), people hadnot been so dominated by video entertainment that they retained a sincereinterest to learn about life’s deepest questions. Now, any such interesthas been overwhelmed by the corporate demand that we obsess over anever-ending pipeline of media product clones, with the current facesheadlined by Miley Cyrus. The reason the question is important is because there is a need for thistype of education. The world has so many problems, one after another, andthey are only getting worse. If we don’t take the time to understand whatis really happening, there is no hope - at all - that we will be able toend the problems. For example, all around the world, many people are being terrorized. It isnot only poverty and ignorance that are endemic. We are living in fear. Terror in the modern world takes many forms. There is classic terrorism,now mainly the province of extremist Muslim gangs, and which shows no signof abating, although this is not because there has been an inadequatemilitary response. Rather, the salient factor is that moderate Muslims,who constitute the majority, refuse to denounce the extremists. They tooare afraid. Similarly, there is a general, low-level of fear now in the United States,because of the never-ending series of mass shootings. Any society wheremass murder becomes commonplace is in serious trouble, if not gravely ill,but Americans are doing their best to ignore this basic point. (Thank youMiley for the distraction!) As another example, everyone who lives in a dictatorship, political orreligious, is also living in fear. This encompasses China, it’s neighborsBurma and North Korea, much of the Islamic world, and many othercountries. (For Islam, moderate Muslims also do not oppose the extremistsbecause their religious theocrats don’t either.) Then there is the natural ecology. While we - falsely - fail to ascribefeelings to other species, they clearly have them, starting with fear. Itmay not be experienced in a cognitive fashion that we would understand,but other species are certainly being terrorized - by us - as we devastatethe environment and kill them in astronomical numbers. Now, none of this is unknown. It is all well documented. This begs thequestion: If we aren’t going to stand up in large numbers for nature - thesupporting structure that keeps us alive - won’t we at least fight backagainst our own terrorists? In the natural world, in oceans, small fish species such as sardines andherring group together in tight schools when they are attacked bypredators, including tuna, dolphins, sharks, whales and sea birds. They dothis because they think - it’s instinctual for these species - that thisincreases their chances of survival. What they don’t realize though isthat by grouping like this they actually raise the probability that they -as individuals - will die, since their behavior generates a much tightertarget on which the predators can focus. Indeed, a humpback whale can openits mouth so wide that it ingests a large portion of such a school. Itwould be much better for the fish if they separated and swam to deeperwaters. This way the predators would be confused, and have a smallertarget. Many more fish would survive. What the fish are doing is grouping together, but not working together.Even though they form a body, they are thinking only of themselves. Theresult is that they create what we call a “bait ball,” making it as easyas possible for the predators to kill them. Humanity, in its approach to its own threats, is doing exactly the samething. But, perhaps other than in cities, our characteristic of being abait ball is not derived from close proximity. Rather, it results from oursimilarly purely selfish focus. A mass murderer is the equivalent of a sea bird or tuna attacking thehuman bait ball. A suicide bomber rises to the level of a dolphin or ashark. And, a dictatorship has the proportions of a whale, or even - fornational societies - a group of whales. As an activist, I know that if the people of China, or Burma or NorthKorea, would rise up, they would defeat their dictators, once and for all.Moderate Muslims would defeat not only the extremists, but the theocratsas well. The U.S. would return to an age where mass murder was anaberration, not the norm. And, the natural world would be saved. It is extremely disconcerting therefore to see so few successes in theface of so many failures; and to see activist colleagues arrested, andkilled, while the dictators live with impunity. We delude ourselves intothinking that because we personally have reduced our selfishness, and areworking to fight the dictators and terrorists, that we are making apositive difference. And, while within very narrow bounds this may be true- a few lives and habitats are saved - overall we are having essentiallyzero effect. The only other people that we connect to are close relatives and friends.This is why social movements and even revolutions almost never succeed. Wesimply do not care enough about other humans, much less nature. We onlyrise to the occasion, and then rarely, when the direct personal interestsof many individuals are threatened. Said another way, humanity is a thoughtless force, and as an addendum toConrad’s quote, by having this collective nature we have allowed power-madindividuals to become our dictators, who rule over us with fear, and whofor the moment, with us acting like a human bait ball, themselves havenothing to worry about. This is why everything starts with education. Becoming an activist ispredicated on being educated, as does having a society of activists,working together to successfully defeat the dictators. Where we are nowand where we need to go is clear, as is the road there. However, gettingeveryone to start walking down it is a different story. Perhaps the greatest problem of all is that we don’t protect our childrenwhen they are young, while their brains are growing rapidly. For properbrain development, children need education. But, what they are getting nowis brainwashing. Childhood exposure to pop and movie stars, extremistmullahs, even people who think that everyone should have a gun and carryit at all times, programs their brains in many negative ways. This leadsthem to believe in a variety of things that are patently false. Further,these beliefs are hard-wired into their brains. They can only be reversedif the children are educated such that new neural circuits are formed.But, given the effects of the brainwashing, as they grow into adults theyrefuse the education. Instead, they evolve into true believers. Eventhough there is no concrete evidence for what they believe - it requiresfaith - they are right, and everyone else is wrong. Even more, the overall effect is to degrade one’s capability and mentalprowess. Kurt Cobain of the band Nirvana couldn’t have been more on pointwhen he sang, “I feel stupid, and contagious. Here we are now, entertainus!” At present, while we do group in ways that are analogous to extremelyindustrious ants, we actually lack their collective motivation. We areunable to connect, in a way that we set, and then work to achieve, overallsocial goals, including by reducing our personal selfishness along theway. Because of this, and globalization notwithstanding, nothingsignificant has changed. There is no New World Order, no End of History. How can we get people to be as interested in education as much asentertainment, in reading as much as listening and watching, and in othersas much as themselves? I’m not sure, and welcome any suggestions that youmight have. But, I do know that we will never really progress, until on amass scale we accomplish this personal transformation. University of Lifehttp://www.freedomfromform.org Note: The articles for Part 1 of the University of Life are now availablein text form as well as video talks. Text files for Parts 2, 3 and 4 willbe added in coming weeks. Visitors can now read the material as well asview it. 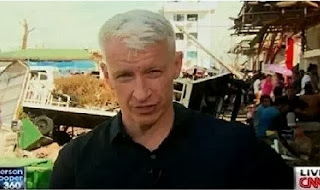 Ansan, South Korea - After typhoon Haiyan hit the Central part of the Philippines, mostly ruined in Tacloban, capital city of Leyte, Filipino people around the globe are thanking and saluting CNN Correspondent Anderson Cooper for his big heart, dedication and compassion not only for his job but also to the victims of tragedy. He has covered and witnessed how the horrific super typhoon devastated the seaside province of Leyte and its nearby towns more than a month ago which made him closer to the heart of Filipino people and netizens in social media networks. He was greatly admired for his remarkable work and dedication in bringing the truthful news after the landfall of killer typhoon and how he witnessed the miserable situations of desperate and homeless victims . The world saw and heard Mr. Cooper's news report, after all more than forty countries sent huge aids to the suffering people of desolate areas. “There is no real evidence of organized recovery or relief," Cooper said five days after the storm surge washed away houses and buildings. He saw how survivors were sleeping near their dead relatives and families. He also explained that right after tsunami hit Japan two years ago, within a day or two authorities have searched people in the wreckage unlike in the Philippines after the killer typhoon left the area no one would be seen helping the desperate victims. Mr. Cooper also added how miserable was the situation in the area, for the people who are looking for shelter within five days have seen sleeping next with their love ones. He also said he saw the very bad situation of the victims, difficulties of getting food and water and he was surprised who really took in charge in the area which he did not see during the search and rescue operation. To him this was the worst disaster he had covered as correspondent. Despite of criticism by few local reporters, he was still very confident for reporting what is the truth about the disaster and saw the miserable situation of the victims. Another tragic moment also when he saw a woman found her three children after the record breaking monster typhoon left the devastated city. What the writer can say on Coopers report, he was just like some courageous Filipino reporters of local networks namely, Ted Failon and Atom Araullo of ABS- CBN and Jiggy Manicad and Jessica Soho of GMA news who really proved their worth and fearlessness just to bring the latest news before and afte the deadliest typhoon hit the province of Leyte and other towns and provinces of the country. Cooper was there when the local and national government were still in dispute on who was going to do first based on government system while survivors are needing food and water. A day later, allied nations sent huge financial support, military personnel, medical and sanitary services as well as the recovery equipments for search and rescue operations. Based on report, the devastated areas in Central Visayas will be needing $ 300 million in assistance for relief and rehabilitation. 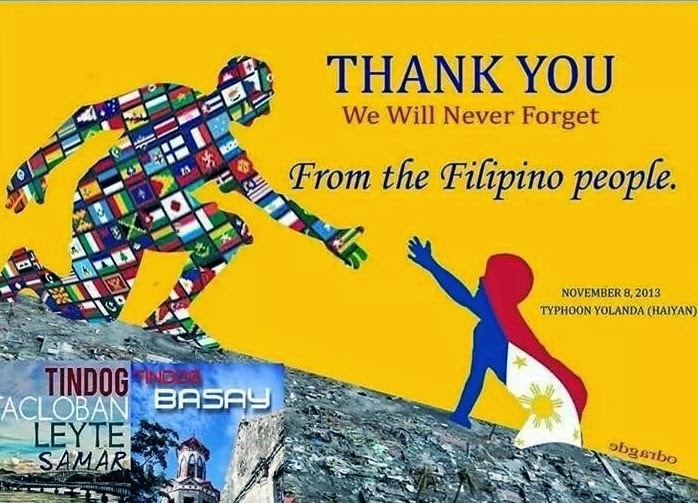 Several days later, more nations donated monetary aids which made the victims of the tragedy more hopeful and optomistic to start all over again with the good heart and help of powerful and highly developed countries. The world knows how very corrupt the Philippine government is, since the time of dictator Marcos up to the present government. The Filipino people are still fighting against the greedy and traitors of the resources of the country so far but thanking and admiring Mr. Cooper who opened the eyes of allied nations which really extended helping hands for humanitarian reasons than our very own. Herewith I wish to inform you that the above for above mention subjects, the research done and doing by me is my personal research and no classified or any confidential data of IITM is used for the same. (Refer your letter D-11/ for the same). However I had already informed in writing and with mail to IITM, Pune Director Dr. B. N. Goswami and my head Dr. S. D. Pawar before informing to Ministry of Earth Science and other various agencies, authorities and research organizations of the world. But instead of encouragement, guidance, help for detail investigation he banned the same research and try to project that the event occurred are not true. I also challenge the Dr. A. K. Kamara committee report which was made after the meeting on 25 March 2011 which made the evidence aside and does not listen the scientific view regarding such giant hailstone formations, which are not Megacryometeor. Since the report made is not reflecting the facts, the justifications given not true and data represented for the report is not true. I request for the all the documents which I have requested in Departmental Inquiry regarding the same. I have also informed regarding the Utterakhand Cloudburst and Vidharbha Cloudburst (2013) in advance but Dr. B. N. Goswami does not take any precautionary action by informing higher authorities in public interest being the Director of IITM, Pune. I also prohibit IITM and or IITM and MoES related members to use my finding in their research paper, manuscripts or part of my published and unpublished research work without my written permission. Any such act will be prejudice to my legal and copy right, and will be treated as theft of my research work regarding the same. I am informing this with the apprehension and threat of my scientific research work, findings and inventions regarding the same and use of my research work on their own name (from IITM, Pune and MoES etc). Hope you will take the necessary action regarding the same and communicate to all IITM researchers regarding the same. With regards, Sincerely, Sd/- Kirankumar Johare (Permanent address: Dhyeya, A-1, Shimpkonav Hsg. Society, New CIDCO-2, Nasik: 422009, Maharashtra state, Mobile: 9970368009) C.C: 1. PMO Office 2. Ministry of Earth Science 3. Chief Minister of Maharashtra 4. Commissioner of Police etc. 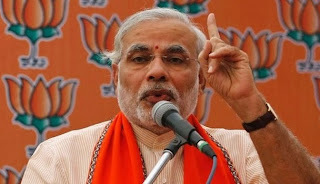 Mr. Narendra Modi, for the first time, in his political career, held a public meeting at Badwani, in the electoral campaign for the BJP in Madhya Pradesh. Badwani, being the centre of the Narmada Bachao Andolan since the last 28 years and Mr. Modi having taken up the issue of Sardar Sarovar Dam, as a campaign from Gujarat to Maharashtra and Madhya Pradesh, the entire country waited to watch what Mr. Modi would say or would not ! Thousands of adivasis, farmers, labourers, fish workers and others from the valley were also watching and waiting to know what statement he would make by raising a forum in the valley itself. They were also ready to stand up and react to anything that Modi was expected to state on Sardar Sarovar Dam, at the cost of their rights and life. Mr. Modi however did not give them this opportunity as he showed no courage to repeat the lies at the valley he uttered at Bhopal or at the Sardar Patel statue inauguration at Kevadia. Thus, all his lies of free power and full rehabilitation were proved to be as fake, since he did not display the guts to repeat his lies ! He was speechless on the issue on the issue of Narmada, he only vaguely referred to ‘development’ with no ideological content as usual and trying to blame ‘unknown forces’ for stalling the same. While the people certainly missed an opportunity to question him, as he flew away within half an hour, the situation brings forth that the real people’s power matters much more than the Modi-political power. The non-violent, non-electoral politics of social movements too can make a difference, we assert. It was during his public meetings first in Pune and then at Bhopal that he had very confidently claimed that these two states would receive 400 MW and 800 MW of ‘free power’ from the Sardar Sarovar Dam. NBA had promptly challenged this falsehood and the claim that the UPA Government was not permitting the dam height to be raised, stalling the progress of the state of Madhya Pradesh and that the Chief Minister of Maharashtra is proving to be week by not giving consent to further construction, till rehabilitation. Modi also did not answer any questions that the NBA raised on the eve of his meeting. His false promise of lighting up the whole of Madhya Pradesh if the dam could be raised from 110 to 100 mts, voiced in 2005 from a similar public meeting at Anjad, a township adjacent to the submergence area obviously stood exposed. Without any facts and figures, he was making such baseless claims only to promote his party with an eye on the vote bank, not only in Madhya Pradesh for the upcoming elections, but also the 2014 elections and his prime ministerial candidature. Even the congress as an opposition party in the state, with only Mr. Harish Rawat as an exception, could not exhibit its strength and courage to challenge Mr. Modi on the issue of Narmada, with huge scale of displacement of thousands of families due to not just Sardar Sarovar, but tens of other dams in the alley, affecting lakhs of adivasi, farmers and others, inspite of there being a solid vote bank, the task fell upon the NBA. NBA, following its unique way of intervening into electoral politics adopted since 1990, in the Sardar Sarovar affected region of Maharashtra and Madhya Pradesh, organized mass Lok Manch inviting the candidates at two places at Badwani and Dharampuri, covering 5 electoral constituencies. Most of the candidates belonging to the Congress, BJP (Kukshi) CPI, NCP, Independents had turned up in Badwani, while both the mainstream parties, BJP and Congress avoided the programme in Dharampuri. The voter-citizens and the long term agitators are obviously upset with those who did not turn up and are also knowledgeable of the push and pull applied to the Sardar Sarovar Dam without any sensitivity and concern for the displaced, for the nature. It was therefore, obviously known to the parties that their votes are going to affected and decided by their opposition or negligence to the people’s struggle on their rights. Will Modi ever be ready for an open debate on what is true development? NBA appeals to all political parties to come forward and hold an ideological debate with the people’s movements, rather than showing lollipops of smart phones to washing machines and laptops. Based on Wikipedia War is an organized and often prolonged conflict that is carried out by states or non-state actors. It is generally characterized by extreme violence, social disruption, and economic destruction, in recent decades the point of view about war has changed, war is no longer about "hard power," it means material power, such as a great army, sophisticated weapons, an advanced economy, in recent decades people are not dealing with hard power such as weapons and guns, to conquer the land in any region. Warfare asymmetric is the combinations of politic, social, mindset, military, ideology and even the culture, it is kind of “soft power’ which is the indication is too hard to be revealed, although asymmetric warfare seems so much cheaper and soft than conventional war but the effect is absolutely bigger than symmetric war ( military war), still in the same source (Wikipedia) Asymmetric warfare" can describe a conflict in which the resources of two belligerents differ in essence and in the struggle, interact and attempt to exploit each other's characteristic weaknesses. Such struggles often involve strategies and tactics of unconventional warfare, the "weaker" combatants attempting to use strategy to offset deficiencies in quantity or quality. In which "asymmetric" referred simply to a significant disparity in power between opposing actors in a conflict and so on. War has changed to be more effective and efficient technology has taken the important rule to make this asymmetric warfare succeed. Who conquer the world recently days are those who know how to use soft strategy to as a threat, asymmetric warfare is like war without sword that victimized so many people. In some cultures women position are under the men, especially in some rural villages women are treated as second class citizens, they must marry a man which is chosen by the family and the worst is women are treated as a commodity to essentially be sold or be bought as a things. In some tribes in male dominated culture women will not get the good position in the community or to be participant. But feminism has been spreading whole the world, modernism has given chance to women to rebel the strict tradition which is only make women in the second class citizen. There is now a high stakes confrontation underway in Burma. 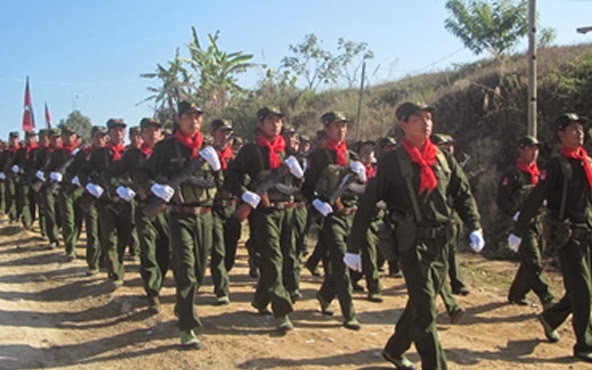 One side, themilitary dictatorship’s side, is pushing for a national ceasefire,followed by some form of “political dialogue.” The other side, the ethnic armed revolutionary forces, however, are unwilling to commit to this. Theyare asking for a variety of preliminary conditions, foremost a cessationof the conflict - a “temporary ceasefire” - meaning an end to the Burma Army offensives and abuse. In other words, the resistance forces haveposed a simple question: How can we have an enduring ceasefire, if youkeep attacking us? Right now, the Burma Army is attacking the KIA in a number of different areas, and also shelling the SSA-N at their Wanhai headquarters. In effect, what we are really seeing in Burma is continued civil war,along with a political dialogue, which is to be followed by a nationalceasefire, and then more dialogue. But, the term “dialogue” is not anaccurate characterization. A dialogue is just talking. When any such talkshave a formal structure and concrete goal, they are really a negotiation.The country is now undergoing a complex negotiation, in which thedifferent sides have their own respective goals. Indeed, the negotiationis not about “peace” at all. Rather, it is about power. The regime wants absolute power, and is demanding that the ethnic forcessurrender (to enter the “legal fold”). The ethnic nationalities in turnwant an end to the abuses that are being perpetrated against their people;a new constitution that enshrines the principles of federalism; a new Federal Armed Forces; and through all of this not only peace for theirpeople, but real power - a significant degree of self-determination tomanage their own affairs. This is what is at stake in the Burmanegotiation. In any negotiation there are two basic factors. The first is the strengthof your position, and not only if it makes sense - if it is just orlogical - but also if you have the power to back it up. For Burma, theethnic nationality position is just, and for both historical and humanrights reasons. “Burma” is in fact an artificially constructed nation. Theethnic nationalities have only been part of a formal political structure during the Burman empires, when they were attacked and occupied by Burmankings in the lower part of the country (Lower Burma); as a consequence ofBritish colonialism, whereby the hill areas and the upper part of thecountry were also incorporated; and through the war and atrocities of NeWin and subsequent Burman generals. In other words, all of the historical periods where Burma has been structured as an empire or nation have beendictatorial. The ethnic nationalities have been forced to participate. The ethnic position is also just on human rights grounds. The dictatorshave been perpetrating crimes against humanity against them. They, on theother hand, have limited their armed resistance to a self-defense responseagainst regime military targets. Regarding power, there is an uncertain and uneasy status quo. The Burma Army has greater troops and weaponry, as well as foreign arms suppliers. There is also intelligence that the regime jets that attacked the Kachin earlier this year had Chinese or North Korean pilots, and further that Israeli advisors are now assisting the Tatmadaw. The resistance, on the other hand, has the justness of their cause andtheir determination to fight. Even with this imbalance, the resistance hasfought with great courage, and inflicted massive losses against the BurmaArmy. The generals have been reduced to forced conscription, including ofchildren, to preserve their troops. Said another way, the regime cannotcompel the ethnic groups to sign a national ceasefire. For the second factor, negotiation ability, both sides have ablenegotiators, although once again the balance on paper favors the regime,since the entire international community of nations, without exception,has abandoned any pretense that human rights in Burma should be protected.Burma must be developed - its natural and human resources must beexploited - and nothing, not even genocide of the Rohingya minority, canbe allowed to stand in the way of this. (The E.U. is actually training Burma’s criminal police in how to attack pro-democracy protestors, andAustralia wants to force refugees back into what until very recently were“black zones” - where villagers were murdered by Burma Army soldiers onsight!) In addition to diplomatically siding with the dictators, the internationalcommunity has also backed up its policy with money. Norway, and Germany’sFriedrich Naumann and Friedrich Ebert Stiftungs, have actively beenfunding the “peace initiative,” mainly through the Myanmar Peace Center. This initiative can more accurately be described as a concerted pressurecampaign, for the ethnic groups to surrender. Harn Yawnghwe and Htoo HtooLay of the EuroBurma Office are the brain trust behind the campaign, and they are working closely with MPC members Myanmar Egress, Vahu Development’s Aung Naing Oo, and, surprisingly, Nyo Ohn Myint, formerly of NLD-LA. Egress is a regime crony, and Aung Naing Oo has promoted the surrender line for years through his Irrawaddy editorials. Apparently, he wants to cash in on his Harvard degree through Vahu. But Nyo Ohn Myint? He appears to have changed sides. What a tragedy, to see a good man betray the cause! Finally, one other issue of unity also favors the regime. The major Burman“opposition” elements are in fact siding with the dictatorship. Aung SanSuu Kyi and the NLD have joined the generals in calling for the resistanceto surrender, and former political prisoners for the most part are notraising their voices about the issue. In other words, the pro-regime sideis unified. On the other hand, there are significant fractures within the ethnic nationalities, largely because the fraudulently elected KNU leadership, warlord Yawd Serk, and also the Wa, are corrupt and favor theregime. Among many other exploitation cash sources, the U.N. has just reportedthat methamphetamine production is exploding in Burma. Many of the ethnicsupporters of the ceasefire are doing so precisely so they can take partin this lucrative market. 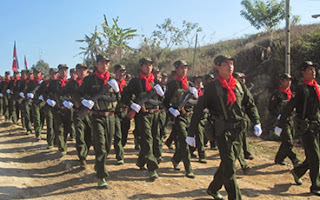 The consequences of this disunity have prevented the ethnic oppositionfrom mounting a united offensive campaign, a genuine revolution, whichgiven the low level of morale in the Burma Army would lead to an outrightvictory; as well as attacks against ancillary regime targets such as themajor investments in pipelines and mines, which projects fund the Burma Army. In the face of this difficult situation, the real ethnic opposition hasallied under the banner of the UNFC. And, because of their continuedwillingness to fight, they have been able to hold off the demand forsurrender. It is essential that the UNFC maintain this position - for years if needbe. If the ethnic groups don’t, if they follow the KNU and the SSA-S andgive up, they will lose everything. Any chance of real freedom for thecountry will be lost, and their people will be sentenced to never-endingland thefts, subjugation, and abuse. What is important in a negotiation is who gets what: for Burma, whobenefits from the ceasefire and in what ways. A national ceasefire now,without any significant conditions, including an ending of the regime’shostilities and abuse, and withdrawal from its ethnic area bases andoutposts, would be a disaster for the country. The generals would win 100to 0. Burma would continue to be a dictatorship for many, many years, ifnot forever. Remember, the regime has already sent strong signals that it will not materially amend the 2008 Constitution, and that current Army head Min Aung Hlaing will run for President in 2015. This is the finalstep in Senior General Than Shwe’s self-protection and legitimization ofthe dictatorship strategy. Carl Gersham, President of the National Endowment for Democracy, recently visited Burma, and called it a pro-democracy success in a world where suchvictories have become exceeding rare (with a good deal of the credit forthis going to President Obama’s pragmatic and effectively anti-democracyforeign policy). This was a preposterous and self-serving claim. (Onewonders if the NED is funding MPC as well.) Gersham also noted thatprogress in regional neighbors China and Vietnam is nonexistent. It isnaive - outrageously stupid, actually - to think that Than Shwe and hisheirs will ever give up power, when so many of their fellow autocrats areconscientiously defending theirs. There shouldn’t even be a negotiation in Burma. A final point is that theexistence of negotiations presumes that the respective parties have avalid foundation. But, Burma’s military dictatorship has none! It is agang of criminals - murderers, rapists and thieves - that for the last 50years without pause has committed the worst atrocities possible. Rightly,they should be overthrown, tried, and then either imprisoned or executed.However, given for the moment that real revolution in the country isunlikely, the ethnic forces can in no way yield. There can be nonegotiated surrender: no compromise on the interests of their people, andfor freedom for Burma. Mullivaikkal Ninaivu Muttram ,a memorial for the Sri Lankan Tamils who lost their lives in the bloody war in Sri Lanka has come up in Vilar road near Thanjavur. A brainchild of World Tamils Confederation,this memorial is the only sad reminder of the dead Tamils in Sri Lanka where each and every remnant of the war with the tiger rebels has been wiped out by the Sri Lankan Army, including the house where LTTE supremo Velupillai Prabhakaran lived. Pazha Nedumaran is supervising the works of Mullivaikkal Ninaivu Muttram. Commissioned by Ulaga Thamizhar Peravai, this has come into reality with the efforts of hundreds of sculptors and many artists. The sculptures have been fashioned based on the line drawings rendered by artist Veera Santhanam and have been carved out by Mamallapuram Sthapathi Murugan and his team. A beautiful stone sculpture of Mother Tamil weighing 40 tonnes decorates the central part of the memorial. The memorial is also home to photographs of some Tamil kings who opposed British rule, and notes and pictures of LTTE commanders. Mullivaikkal Ninaivu Muttram has come into shape through contributions from far and wide. 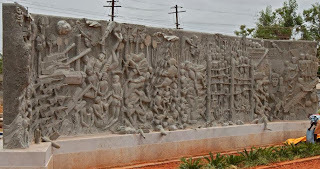 The sculptures tell the poignant teary stories of Tamil killings, murder of Kutti Mani-Thangadurai, torching of Jaffna library and portrays the peaceful lives Eezham Tamils led in the island nation including national bird and tree of Eezham. 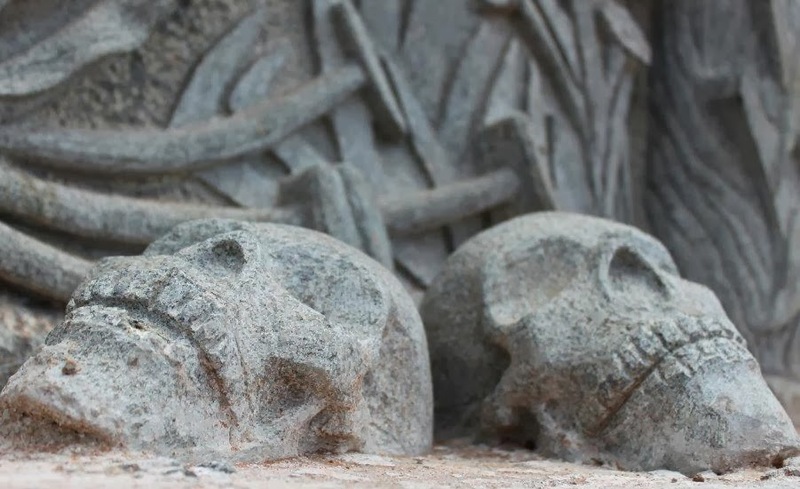 Each sculpture in the memorial depicts the untold misery and pain that the Tamils underwent during the final stages of the ethnic war,when human rights were abused and war crimes were committed by the Sri Lankan Army. The sculptures show heart-rending images of wailing mothers, broken limbs, guns and dead bodies. The foundation stone of this memorial hall was laid three years ago was originally planned to be just a memorial pillar. 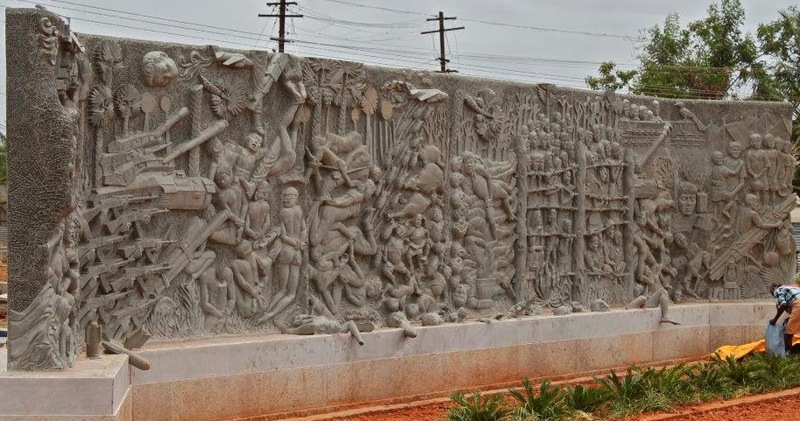 However,with the increasing wipe-out of victory memorials of LTTE in Sri Lanka by the Sri Lankan Army, it was decided to be made into a memorial to leave a trace of the bloody civil strife that killed Tamils in Sri Lanka in the pages of history. Built to last for centuries, Mullivaikkal Ninaivu Muttram is set to be unveiled on November 8,9 and 10. Comrades! The resistance movement against violence spearheaded by marginalized women is gathering momentum these days. The nature of this resistance movement is the defining issue of women’s movement. Presently women, especially working class women are challenging all age old forms of violence and emerging as a strong force to reckon with. Violence against women has many forms – sexual, social, economic, and political. Unfortunately, however it is only the sexual aspect of the violence which gets highlighted though violence continues on all aspects but they are very rarely highlighted. Today working class, Dalit, Adivasi, Minority community women are raising their voice and are leading movements against patriarchal, capitalist and feudal oppression. The process of women empowerment in these sections of society is on the rise. Women’s participation in land and forest rights, right to livelihood, right to health and education is also continuously on the increase. And for this reason a revolutionary change can be seen in contemprary women’s movement. In Bundelkhand, Kaimur and Terai areas of Uttar Pradesh there has been strengthening of the landless women’s movement for land rights in the last two decades. The struggle for land rights by the landless has been an old struggle which had been going on strongly from the British period till the 70s. In Post 80s such struggles weakened and most progressive sections resigned themselves to the fact that issue of land rights and land reforms had lost momentum. The 90s saw the beginning of capitalist liberalization with structural reform processes and programmes and the issue of land rights and land reforms disappeared from the political horizon. Peasant movements also got limited to articulating demands for the big and medium peasants. Even the mainstream left parties abandoned land reform movements. The era of capitalist liberalization saw the conditions of landless and poor peasants deteriorate even further. What was worse was that the very issue of land rights and land reforms vanished from the political horizon. However, in these bleak situations, in the beginning years of this century, women from the poor and landless sections of society exhibited an unforeseen awakening and brought back the demand for land rights and land reforms into the political horizon very strongly. Women from these sections developed this understanding that without land in their possession they could not ascertain their economic stability, dignity or their children’s future. These women did not look at land as commodity but as a source of their livelihood and because they did not look at land in property terms, this struggle for land rights has continued to grow and gather momentum. It must be remembered that these women came primarily from the landless and poor peasant sections of Adivasi, Dalit and other backward or marginalized sections of society. They evolved as a force protesting against many so called “development” projects and schemes and fighting for a “life of dignity”. Urban working women also came up very strongly against injustice and for development rights. And thus this emerging women’s power made a strong impact and intervention in the political sphere. Even election equations were affected as the new generation of this section notice of this new socio-political factor. Entrenched political forces, formations and parties had to take notice of this emerging socio-political force and were quite helpless in front of this new political force and bowed down to it. 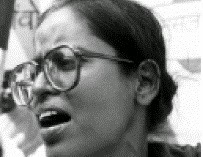 And it was because of this reason that governments had to take serious notice of women’s voice and political will, especially those of the landless, marginalized sections and legislate such path breaking acts like MGNREGA, Forest Rights Act, Social Security Act, Domestic violence against women etc. It must be recalled that all these Acts had special provisions for women and the Forest Rights Act, for the first time, granted equal individual and community rights to women over natural resources. Never before had the revenue laws of the country such provisions for women. But still even after 7 years these Acts are not implemented effectively because of lack of political will for change. It is however important to realize that the movements and struggles of Adivasi, Dalit and other marginalized sections of women have had to face many social, political, economic oppression and opposition. Indian society is primarily feudal, patriarchal and capitalist and the women’s movement had to counter all these forces to emerge as a political force. Their road was never easy and they had to face different types of suppressions, oppressions and violence. Wider society did not have much idea or information about this empowerment of the marginalized women as such movements and struggles did not become newspaper headlines and neither has there been any meaningful research in to the same. Discussions on violence against women remained confined to middle class urban women. And what is sad is that mainstream women’s movements did not give any recognition to this struggle of the poor and marginalized sections of women. The poor and the marginalized women are just looked upon as victims. History is however witness to the fact that in the advanced western countries it was the struggle of the poor and exploited sections of women which was the precursor of independent women’s movement as it emerged in the twentieth century. In countries like India with deep rooted casteism and dominance of eminent domain, the struggles and movements of Adivasi, Dalit and other backward and marginalized sections of women never had any recognition. But it is this movement and struggle which is posing a strong challenge to capitalist globalization, feudalism and patriarchy and demanding basic changes to the very structure of society and governance. It is critically important to recognize and understand this force as it is signaling towards a revolutionary change. It is in this context that we are organizing a discussion on “Women’s Resistance Movement against Violence” which intends to open up discussions around this whole issue. This discussion would be organized in memory of our beloved comrade Bharati Roy Choudhury on her 60th birthday and would be a true tribute to her. She was associated with the struggle of the marginalized women and played a very important and leading role in this movement. On the occasion of her 60th birthday All India Union of Forest Working People would be organizing a few programmes in which women community leaders playing leading roles in the forest and land rights movement in Uttar Pradesh, Bihar, Jharkhand would be participating. It needs to be emphasized that these women have been fighting for over a decade against all odds to protect the collective and community rights they have won and this has given them an identity of their own. Progressive women’s organizations from Delhi would also participate. A two day programme would be organized in village Nagal Mafi, Saharanpur , U.P. on 27th & 28th October. A day long discussion session would be organized in Gandhi Smriti and Darshan Samiti premises, New Delhi on 29th October. Machimar Adhikar Sangharsh Sangathan (MASS - Association for the Struggle for Fishworkers’ Rights), the organization of fishing families that filed the complaint at the CAO in June 2011, welcomes the report. “The findings reconfirm the concerns we raised since project construction started,” Dr. Bharat Patel, General Secretary of MASS said. “CAO’s expert findings help bolster our fight to regain the damaged livelihoods of thousands of fishing families in Kutch coast.” MASS asserted that IFC failed to account fisher people as project-affected people, to adequately assess and mitigate environmental and livelihood impacts, and to comply with mandatory performance standards and national regulations, among others. Dispute resolution attempts did not work, leading CAO in 2012 to do a compliance appraisal, which concluded that MASS complaint merited a full investigation. In more than one year, CAO embarked on an extensive compliance audit process by hiring external experts, conducting field visits, reviewing relevant reports, and crosschecking with the IFC. Disturbing findings - CAO validated major MASS complaints. It found the IFC committed serious supervision failures and significant policy breaches. CAO confirmed that IFC did not adequately consider in its risk assessments seasonally resident fishing community and religious minority population to be affected by the project, which excluded them from the application of land acquisition standard, biodiversity conservation and other relevant policies to protect them. CAO confirmed that that IFC committed major shortcomings in fulfilling requirements to manage impacts on airshed and the marine environment. Specifically, the investigation found that IFC did not ensure that its client correctly applied the 1998 WB guidelines for thermal power that restrict a net increase on emissions of particulates or sulfur dioxide within the airshed. On marine environment, CAO found the IFC to have no robust baseline data on project impacts to marine resources, which constrained it from monitoring marine impacts. CAO also found that IFC has not assured itself that the plant’s seawater cooling system complied with applicable IFC Environmental, Health and Safety (EHS) Guidelines. This compliance failure risks that thermal plume from the project’s outfall channel will extend into shallow waters and estuaries that pose significant ecological risks on marine resources. CAO also confirmed the failure of the IFC to conduct an adequate cumulative impact assessment. CAO stressed that IFC should have advised its client that environmental and social risks emerging from the project’s proximity and relationship with Mundra Port and Special Economic Zone should have been assessed by a third party, with mitigation measures developed. CAO concluded that IFC’s review and adoption of its client’s reports are not robust to ensure the Performance Standards and supervision requirements are met. IFC rejects findings, backs up the client - An eleven-page response written by Anita George and Willian Balmer, IFC’s Asia-Pacific Director for Infrastructure and Natural Resources and Director for Environment and Social Governance, respectively dismissed CAO findings. Essentially, they rejected expert findings, defended their project decision and their client and issued no remedial action. 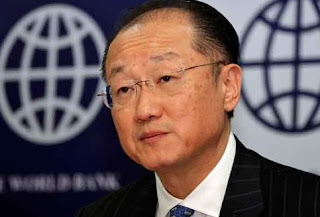 After a month of silence, World Bank President Kim cleared management response. Dr. Kim, a physician by trade, was known for championing public health before joining the Bank. Yet, his approval on the IFC response presents a severe diversion from his typical advocacy. With the decision, thousands of fishing and fishworker families will continue to suffer from air pollution, contaminated water and destroyed marine resources that CAO found to be directly linked with the construction and operation of Tata coal plant. CAO found that this wide range of problems is attributed to IFC. Kim, instead of addressing the findings, stood by his IFC staff and their client, Coastal Gujarat Power Limited (CGPL), ignoring the plight of fishing communities adversely impacted by the deadly investment. “By clearing the IFC response, President Kim sends a clear message that he supports his staff’s denial of science, of expert findings and endorses management’s avoidance of accountability,” says Dr. Patel. President Kim contradicts Bank’s energy strategy and undermines CAO mandate - “By flatly rejecting the findings of independent audit body, Kim simply revealed a highest form of hypocrisy in his climate stance,” says Soumya Dutta, a member of India Climate Justice and coordinator of the Independent Fact Finding Mission that produced the 2012 Real Cost of Powerreport that documented the violations of the company. “We wonder why an institution like CAO exists if their findings are not given any value and no action is taken upon it,” said Soumya Dutta. “If President Kim is serious about the accountability that he talks about, and about learning from the Bank’s mistakes to prevent them from occurring again, he should take bold decisions based on the findings.’ Communities demand the World Bank President to stop his charade that he can take people for a ride and take bold actions based on the CAO findings. “Now that World Bank’s own investigations found such serious lapses, it is time for the Bank to sit up and take appropriate and immediate actions. We will not agree on anything short of IFC withdrawing financing from the project,” Dr. Patel said. "No Clinical trial on 'Global clinical trials' including New Chemical Entities without proper mechanism” - Supreme Court. September 30th, New Delhi : The writ petition filed by Swasthya Adhikar Manch came up for hearing today before the bench of the Supreme Court consisting of Justice R.M Lodha and Justice Mr Singh...... This case was filed in February, 2012 and this is the seventh hearing of the case, last hearing was held on 26th July, 2013. In the last hearing, the Hon’ble Supreme Court had directed Secretary, Ministry of Health and Family Welfare to organise a meeting of all chief Secretaries / Secretary from all states to discuss all the facets and aspects concerning legal framework for strengthening the regulation of clinical trials and other incidental matters. They had also asked the Government to take opinion of Petitioners, National Human Rights Commission and NGOs. Today Mr. Sanjay Parikh Senior Counsel for Swasthya Adhikar Manch argued and highlighted the facts contained in the two affidavit filed by the Ministry of health and family welfare. In the additional affidavit filed by the Ministry of Health and Family Affairs it was stated that out of 475 New Chemical Entities only 17 were approved for marketing which comes to less than 4%. But in these clinical trials 2,644 persons died out of which only 80 deaths were attributed to clinical trials. Similarly, out of 11,972 SAEs, 506 alone were attributed to clinical trials. He mentioned that total 259 applications regarding NCEs / NMEs have been recommended for approval between 3rd July 2013 to 31st August 2013 out of them 162 have been approved for clinical trials by Drug controller General of India. The Petitioners pointed that in their affidavit Ministry of Health and Family Welfare had mentioned that due to Clinical trials of New Chemical Entities/ New Molecular Entities (NCEs/NMEs) 164 deaths had occurred in the year 2010, out of which 125 alone had died on account of clinical trial of Rivoroxaben by Bayer. However, as per the Ministry of Health and Family Welfare office memorandum dated 26.04.2011 to the Lok Sabha Secretariat a total 671 cases of death occurred in the Year 2010 out of which 89 deaths were related to clinical trial. The above data is contradictory to Ministry of health and family welfare in which they are claiming that only 80 deaths due to clinical trials occured from year 2005 to 2012. The list of drug companies that conducted the trials included several pharmaceutical companies such Bayer, Eli Lilly, Pfizer, Sanofi Intas, Merck, Boahringer, Astrazeneca, Novartis, etc. Counsel for Swasthya Adhikar Manch- Mr. Sanjay Parikh mentioned that the reason for so many deaths is because NCEs/ NMEs are being tested on Indian citizens without following the regulations and taking necessary precautions taking advantage of poverty and tardy implementation including corruption. It was also urged by the Counsel that the clinical trial of NCEs/ NMEs is not at all beneficial to the Country and therefore, should not be allowed. 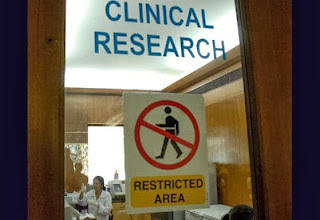 As per the letter dated 26.04.2011 written by the Ministry to Lok Sabha Secretariat, from the year, 2005 to 2010 alone 1243 global clinical trials has been permitted. In the other letter dated 06.06.2011 by DCGI it has been mentioned that out of 645 cases of death response has been received only in 300 cases and out of 300 in only 2 cases compensation and treatment expenses have been paid. The Court has given 10 weeks time to the MOHFW to come out with the actual implementation of the suggestions given by State Government, NHRC, Petitioner and NGOs to strengthen the regulatory framework of clinical trials in the country. Mr. Sanjay Parikh also represented the Bhopal Gas Peedith Mahila Udyog Sangathan (BGPMUS) and the Bhopal Gas Peedith Sangarsh Sahayog Samiti (BGPSSS) who are interveners in this case. The Supreme Court also issued notice on an intervening application filed by Swasthya Adhikar Manch based on the 72nd Parliamentary standing Committee on Health and Family welfare report dated 30th August 2013 where in it has been recommended that action should be taken against PATH, State Government of Andhra Pradesh, Gujarat, ICMR, and other Government officials including Drug controller General of India. In the said case HPV vaccine was given to 14,091 girls in Khammam district of Andhra Pradesh and 10,686 girls in Vadodra, Gujarat. These girls were between age group of 10-14, of which 7 girls died due to these illegal vaccine trials. Communal violence has been the bane of Indian society, more so from last three decades. One can see its coming up prominently from 1893 to begin with and then it went through different phases. It became stronger after 1937, peaked in 1946 and then the post partition holocaust shattered the lives of lakhs of people. After a gap of a decade it started coming up again from 1961, Jabalpur violence, later anti Sikh violence of 1984 was not just violence, it was genocide. At different levels after this we see the big surge, Meerut, Maliana, Bhagalpur, Mumbai, Gujarat (post Godhra) being the worst of them. Pre partition it was both communal parties Muslim League-Hindu Mahasabah, and the communal patriarch RSS, which were major players in this dastardly game. This phenomenon led to the polarization along religious lines. This polarization was the hallmark of this violence which kept going up. The stereotypes about ‘other’ community kept worsening up; still the intercommunity rupture was not total or complete. The intensity about adverse sentiments about ‘the other’ went going up gradually, remaining at subcritical level till probably 1992, after which the ghettoisation of minorities started becoming a prominent urban phenomenon, and the misconceptions about minorities became a major part of social common sense. The other observation was that the communal violence, which is the superficial manifestation of politics in the name of religion, is predominantly and urban phenomenon. Many a social scientists made it the fulcrum of their understanding and blamed urbanization as the bane of our society, which was responsible for this type of violence. As the matters stand after the recent Muzaffarnagar violence, it is clear that communal violence being a major phenomenon in urban areas was just a phase of this process. Having polarized the urban populations, the agenda of communal outfits has now targeted the rural areas. Its implications surely are going to be more disastrous for our nation as a whole and it is time that the dangers are assessed of the trajectory of this process. There are many factors about Muzaffarnagar violence, which should make us sit up and take notice. So far the communal violence in different parts of the country benefitted the RSS-BJP in a major way and the litmus test of this was the increased social presence of RSS affiliates in those areas affected by violence and increase in political strength of BJP in electoral arena. Gujarat is a classic case where after the post Godhra violence, BJP has dug its heels in the state, and RSS affiliates are ruling the streets. As the political players calculate on the political chess board, this time there were two players who thought they will benefit. On one side from the usual beneficiary, the BJP associates, which in the aftermath of 84 Kosi Parikrama, activated its workers in this game of polarization. The other player the Samajvadi party probably calculated on the similar lines, if Hindu polarization benefits BJP, Muslim polarization should benefit Samajvadi party was their thinking, which let the violence happen. It is also true that since Samajvadi party came to power a year and a half ago, communal violence has gone up in Uttar Pradesh. In this case of Muzaffarnage violence as the three boys got killed on the pretext of teasing of the girl or a skirmish on the road (there are two versions of the beginning of the episode). There was enough time to see the dangers of such an inter-religious violence and control the same. But that was not to be. The officers in violation of the rules and even the imposition of 144 in the area let the Mahapanchayat of over a lakh people take place. The caste-communal outfits are patriarchal to the core and slogan-theme ‘Bahu Beti Bachao’ (save daughters and daughters-in-laws) was enough for the village Jats to turn up in large numbers with weapons. Communal propaganda is taken to the higher pitch. And so the communal violence enters the villages. And here the BJP communalizes the social space. Though it did not have much base amongst Jats, this occasion was cleverly manipulated to introduce divisive politics. Two factors were made use of. One the image of Modi as the savior of Hindus. Now Jat goes from the caste identity to Hindu identity. In communal politics religious identity is the foremost. The Muslim crowds also confront, play some role in violence but as is the usual case the partisan police machinery does not do its job in an objective manner and the result is a lopsided violence more against minorities, displacement and increase in the sense of insecurity amongst minorities follows. The Samajvadi party’s gamble will pay or not, time alone will tell. During the reign of Samajvadi party the monster of communal violence has been permitted to come out as is obvious from the observations that during Akhilesh Government every month nearly two acts of violence have taken place. How come during previous regime of BSP, the monster of communal violence had been restrained? Same officers, same people. Surely it is up to the ruling Government to let the violence take place or not. Communal forces, BJP and company, always keep instigating it and looking for opportunity to unleash violence. In UP the additional factor of course has been the presence of Amit Shah, who is on bail and who has the experience of Gujarat carnage, his role will have to be watched, but as such the RSS-combine machinery is in place and can take such assignment on the drop of a hat. While at one level, the instigation used was to propagate that ‘our’ daughters, daughters-in-laws are not safe, on the other hand a BJP MLA uploaded a video clip showing some people dressed like Muslims killing two young men brutally. This was a video shot few years ago in Pakistan when two young persons were lynched by the mob with the suspicion that they are dacoits. It went viral on the social media, which is reaching villages in good measure, and created a hostile atmosphere. Basically there is no difference between BJP and CONGRESS. Regarding Reforms, Globalization and Capitalism both are in the same mood. Both want a few becoming richer and richer at the expense of the majority victims becoming Poorer and Poorer. Both want MNCs to thrive in India. Both the parties are corrupt. Coals scam, 2G Spectrum Scams. Bellary Mines Scams etc etc both are in the same soup. The worst of all corruptions the import of coals, because of giving coals to the Private Companies cheaper rate made the devalue of Indian Rupee.. Regarding Communalism and the Secular Dimension of the Indian Constitution Congress claim that they are different from BJP. Here also BJP is open and Transparent in claiming that they are for the Majority Hindusm and they want such Nationalism forgetting about the Indian Constitution regarding the status of Minorities. However the Congress is subtle and have silent Communalism. This is very clear that Congress does not take a stand on Dalits Christians and Dalits Muslims becoming part of SC'/ ST category of the Indian Constitution. When the congress accuse BJP of Communalism after Godhara in Gujarat, the BJP blames Congress of killing Sikhs after Indira Gandhi Murder. People of India cannot take a stand in the midst of Such Contradictions in the Political Parties including Regional Parties. And yet many vote during the elections. So the surveys show that NDA and UPA will not get a needed majority to rule the country. BJP thinks that Modi will work a magic as he did in Gujarat better than Advani.. On the other hand Congress think that Rahul will work a magic through Popular enactments like RTE, RTI, Food Security. etc etc. Ultimately BJP and Congress will have to depend on the Regional Parties. It all depends HOW THE UPA AND NDA work out this in wooing Regional political parties giving them more power than the number they have. This may work for some time till the Bigger Say in everything is determined. 1. There is no place in this authoritarianism for law. During British colonialism in Sri Lanka, from 1815 to 1948, law was established as the overall organizing factor in society. There was a law for more or less everything. The operational principle was that whatever any legitimate authority does should be defined in terms of law. It can be said that after over a century of government based on law, law became imbedded in the Sri Lankan consciousness, and therefore a basic foundation for the rule of law was quite settled in Sri Lanka. However, the constitutional changes introduced in 1972 and 1978, and the events of the last 40 years, have undermined that functional system in which government actions had legitimacy and justifiability. It is difficult to determine what is legal and what is illegal at any given moment. This uncertainty and ambiguity runs into everything, including the criminal law, public law and, to a great extent, property laws. This uncertainty and ambiguity have also placed the courts in a very difficult situation. The importance of the courts has been undermined to a very significant extent. The overall public perception that has developed increasingly treats the courts as somewhat irrelevant. The citizen has lost their belief in the possibility of legal redress for wrongs they may have suffered. In fact, the uncertainty of the legal situation also results in ambiguity about what legally recognized wrongs are. As mentioned this has spread into criminal law and public law, as well as the property laws. Thus, the creation of uncertainty and ambiguity about the law, legal wrongs and legal remedies has permeated into every aspect of life. 2. Resulting from what is stated in the above paragraph, there is also uncertainty and ambiguity about all public institutions. What the parliament is and what it is supposed do are questions that citizens would find difficult to answer. What practical experience shows is that the parliament merely does what the Executive President wants and there is nothing that the parliament can do that the Executive President does not want. The idea of making laws in line with the consent of the people is a notion that does not have even the remotest meaning. The capacity of the Executive President to do whatever he wants and get a stamp of approval, either before or after such actions, gives the appearance of legitimacy to whatever he does. In fact, even that appearance of legitimacy is not really a requirement, as there is no real capacity to challenge anything on the basis of legitimacy. Thus, even the very notion of legitimacy is not a matter of real significance in many affairs. 3. Undermining of the independence of the judiciary. First of all, what is said above about the undermining of the law and the problems that exist in relation the parliament itself have affected the idea of the independence of the judiciary. Besides that, the system of appointments and the removal of judges from the highest courts have created great doubts in the minds of the citizens, including the lawyers, about what kind of outcome are possible in litigation. The idea of pursuing litigation on the basis of the belief that the final outcome would be in terms of the merits of the case has diminished a great deal. The notion that there are many ways through which political influence can affect what might happen in a case is deeply widespread among the people, as well as the lawyers themselves. The idea that litigation is also a matter of market practices has also gained ground. All this poses questions as to what might be expected from the courts. 4. The displacement of civilian policing. What was said above about public institutions and the manner in which their role and capacity have become ambiguous is starkly revealed by the nature of the policing system in Sri Lanka. Its ineffectiveness is not merely due to the incapacity of the police force itself. Rather, its ineffectiveness is mostly a product of the overall crisis of the legal and political systems. Police officers, including high-ranking officers, are often “powerless”. It is difficult for any officers to fathom what he/she should or should not do, as extraneous forces often play a role in determining what should and should not be done. For the most part, the actions of public institutions are controlled from outside and there is hardly any practical way for officers not to succumb to these influences. Besides this, the intelligence services, special security forces and the armed forces themselves are being called upon to engage in actions that, in previous times and under a rule of law system, would have belonged only to the civilian police. These outside forces are directly controlled by the Ministry of Defence and are only accountable to those who hold power within that ministry. The crisis of law and the courts mentioned A further factor that affects the nature of the police is the ever-lessening importance given to criminal law and procedure. Both in terms of the powers and resources given to the police (particularly from the point of view of budgetary allocations for the actual work of criminal investigations) the police establishment is treated as an institution of the least importance. The Sri Lankan police force today is extremely backwards, both from the point of view of training and capacity, as well as in terms of the space available for it to exercise its functions independently. One of the consequences of undermining this institution is the extreme use of brutality on suspects by the police. There is a great deal of documentation on the routine torture that is exercised almost on everyone brought into a police station. Resulting from these factors, there has been a breakdown of discipline within the police establishment. The disciplinary control exercised in former times no longer exists. Higher-ranking officers are very much involved in wrongdoings, both from the point of view of political subservience as well as corruption, as are many of their subordinates. The hierarchy of the police lacks the authority that their forerunners enjoyed in previous times. This collapse of the policing institution aggravates the situation relating to the law as described in the earlier paragraphs. 5. Political control of the Attorney General's Department. One of the legacies of the British was the Attorney General's Department, which was modeled after the British Advocate General's Office. For a long period of time, this department produced very competent prosecutors and leading lawyers on behalf of the state. They were aware of the basic traditions and guarded their independence. The department developed a very strict protocol in dealing with government ministries. As the chief legal advisor for the government, the Attorney General advised the government on the legality of proposed laws and actions. The whole system was geared to ensure that the government conformed to the law. Unfortunately this situation has been undone and the process of its undoing went on for several decades. It is now in a state of deep degeneration. The department is now directly under the Presidential Secretariat. The protocols that guaranteed independence have been abandoned. The department has been brought under direct political control. Prosecutions are filed against political opponents directly under political instructions. On the other hand, indictments that have already been filed on sound legal bases are withdrawn or modified to suit powerful politicians. The Attorney General is supposed to oppose proposed legislation that is illegal and against the rule of law; this function is no longer carried out. Even on the matter of the unlawful removal of the Chief Justice, Dr. Shirani Bandaranayke, the Attorney General's Department went out of its way to support the government. Now the Attorney General has himself filed an action against the Court of Appeal’s judgement against the Parliamentary Select Committee, a judgment that the government refused to carry out. The earlier tradition of the Attorney General not to support the alleged perpetrators in cases of human rights violations, particularly fundamental rights violations, has been abandoned and department lawyers take an active part in opposing fundamental rights applications from citizens. There is a deeply negative impression of the department among the people. 6. The emergence of the all-powerful propaganda machinery of the state. What is being offered in place of legality and legitimacy is a propaganda machinery of extraordinary power, which attempts to convince the people that any action taken by the government is right and that those who oppose those actions are evil. These attacks on any kind of rational opposition are part of a most vicious campaign, unleashed through the media and brought into every house in the country. Many of the government's actions are prepared for beforehand through prolonged propaganda, and this includes attacks on anyone whom the government wants to take action against. The attack on Chief Justice Dr. Shirani Bandaranayake while she was still in office was one such vilification campaign, the likes of which had never been witnessed before. The campaign started with the view to force her out of office on her own. When that did not take place, propagandizing was intensified in order to create the impression that the government was right in what it was doing and that every move taken for the purpose of her removal was correct. The content of such propaganda is viciously manipulative, as is the language used. The lowest levels of language are used to humiliate opponents. The opponents themselves are not given any opportunity to have their version of events heard. The hate campaigns against opponents are reminiscent of the type of medieval campaigns that we read about in Western history books. Heavy repression against the free media has also become a permanent feature in Sri Lanka. Assassinations, abductions, forced disappearances, causing of physical harm and threats of assassinations to journalists have created an overall environment of fear and intimidation. Large numbers of competent journalists have left the country to live in exile. Besides journalists, media establishments and publishers have also been targeted in attacks. Creating circumstances that force private media establishments to sell those establishments to persons with close association with the ruling political regime is also a feature of the contemporary situation. As a result of this repression people have lost the opportunity to listen to alternative views on matters of public importance. a) Resorting to direct violence. This direct use of violence is facilitated by various developments. One is a change in the practices relating to arrest and detention. There has been a large-scale practice of killing persons after detaining them. This began in the aftermath of the 1971 JVP insurrection, during which, in general estimations, around ten thousand persons were killed. These killings were not combat killings. People were arrested, often interrogated, and thereafter disposed of. This practice was again continued in the South, from 1987 to 1991. The government appointed Commissions into Involuntary Disappearances, which recorded that there were around 30,000 such disappearances. As the commissions pointed out, the word 'disappearance' during this time meant abductions in place of arrest, followed by interrogations, killings and the disposal of bodies. A similar practice was also carried out in the North and East throughout the 27 year conflict between the LTTE and the government. In Sri Lanka, the idea of taking political prisoners does not seem to exist (except in rare instances), particularly after the killing of several prisoners during July 1983 Riots. Instead, killing after arrest became a frequent practice. There may be complex reasons that give rise to this situation. The overall approach seems to be based on the fact that that this method is the most convenient and does not carry many logistical and administrative obligations. The whole matter is over within a short time; after the disposal of the body. If political prisoners are to be kept, arrangements need to be made for recording their statement and other matters, and this leads to obligations under the criminal procedure laws. Perhaps the most difficult obligation is to ensure that there is an investigation that could lead to evidence justifying the arrest and detention in front of the courts. On the other hand, when people are made to disappear after arrest, large-scale administrative arrangements are not required. Disposal of persons in this manner also removes the obligation to keep people in prisons. Keeping political prisoners in prison imposes very heavy obligations. There are the ordinary obligations of giving prisoners food, space and facilities for sleep, health and sanitation. Equally important are the heavy security obligations. As political prisoners may have their organizations, there may be attempts to rescue them from prisons or on their way to and from the courts. There are even greater difficulties from the heavy political propaganda that comes as a result of keeping political prisoners. So long as prisoners are in custody there will be agitations for their release from political organizations, human rights groups and the families of the prisoners. During elections, matters relating to political prisoners can weigh heavily against the incumbent government. From the point of view of the media, the existence of political prisoners generates much news and political commentaries. All such complex issues can be conveniently avoided by disposing of persons after arrest. This method also has the further effect of creating enormous intimidation in the population. Such intimidation deters many people from participating in political agitation and protests. Keeping this level of intimidation high is quite advantageous when maintaining an authoritarian form of government. The decisions in relation to such extrajudicial killings are left to the security forces or the police. In such extrajudicial killings, the functions of arrest, interrogation, execution and disposal of body are all left to the decision of whoever does such killings. Due process and decision-making by the courts are thus taken away. Of course, the possibility of appeals does not arise at all. Arrest and detention, sometimes leading to charges being made in courts, sometimes leading to extrajudicial executions, are often done after fabricating accusations without any factual basis. Sometimes such accusations are made by the police or security officers themselves and, on some occasions, false witnesses are found to make some complaints that enable arrest. Sometimes such fabrication of charges is done for political purposes. There are many occasions on which this has been done for other purposes, such as for eliciting bribes or to intimidate persons. Often, charges of drug possession are made on innocent persons when they bring complaints against the police or security forces regarding violations of their rights. The threats of bringing such charges have frequently been used to intimidate persons. b) The loss of the memory of the law, legal procedures and legal redress. Further consequences include the problems of the legal system, described as a loss of memory regarding law, legal procedures, courts, and other aspects of legal redress. During the period of over a century under colonial rule, a system of law was introduced and, as a result, mental and social habits were developed. During the last 40 years, along with the undermining of the legal process, much of this memory has been wiped out. Lawyers complain about many judges having a much lower quality of legal understanding than in previous generations, which helps to create the crisis of law. There is also a stark degeneration in relation to legal knowledge and ethical practices amongst the lawyers themselves, and it is also spreading to litigants. In fact, the entirety of the population is losing this memory of the law. With time, such loss of memory becomes much greater. Additionally, extra-legal methods for resolving conflicts develop. Through this, new mental habits and attitudes are formed, which spread to everybody; ordinary people, lawyers, judges, politicians, prosecutors and the like. Thus, while positive knowledge about the law is lost, there is a negative kind of knowledge about doing things by illegal means that is being spread. As a result of this, there is a development of underground and powerful elements, which attempt to intervene to resolve problems through direct violence. c) The spreading negligence in the machinery of administration. As a result of the loss of the relevance of law, and the loss of law-based administrative practices, negligence has spread to all areas of the administration, including local government administration. In earlier times there were supervisory and monitoring mechanisms inbuilt in all programmes and projects. However, such supervision and monitoring has weakened so much that many negative developments are not noticed and there are no attempts to take preventive action to avoid serious adverse consequences. Some glaring instances have already surfaced. For example in Mullative, Kilinochchi and Vavuniya in the Northern Province, there are problems relating to severe shortages of clean drinking water. People undergo severe difficulties and there has been an increase in health problems due to poor quality drinking water. Similar complaints about drinking water also exist in the North Central Province and Uva Province, and there are complaints about the large number of cases of chronic renal failure. 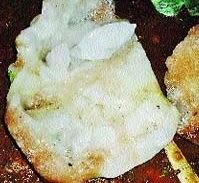 The problems relating to drinking water in Rathupaswela, Weliweriya (in the Western Province) surfaced recently, caused, it is believed, by the operation of a factory dealing with rubber products, where the release of waste water into the surrounding lands has resulted in increased acidity levels in the ground water. Under the previous administration there were regular checks of such factories because of the possible effect on the health conditions of the people in the surrounding areas. However, such monitoring has been neglected. Also, for several years now, Dengue Hemorrhage Fever has spread to the point where it has reached epidemic level. Earlier there existed an efficient system of mosquito control and other such parasite controls, and significant achievements were made. However, the problems caused by neglect in the present system of administration prevent concerted efforts from being made to overcome this problem. The efforts to control illegal narcotics have also seriously failed. There are regular reports about the drug trade, which is widespread in the cities, as well as in other areas of the country. The prosperous drug trade operates with impunity and manipulates the already weakened legal system in the country. As a result, drug addiction has become a serious problem. Associated with this problem is the spread of money laundering. According to reports, Sri Lanka has become a hub for money laundering in the region. These are only few examples of the manner in which the spirit of neglect has now spread throughout the administration. It is very likely that many other unforeseen problems will occur due to this neglect, in all parts of the country and all areas of life. d) Unprecedented levels of corruption. The success achieved by the Commission to Investigate Allegations of Bribery or Corruption is very limited. In the past these issues were not such big problems, but now one of the areas in which law enforcement is most ineffective is in relation to bribery and corruption. The present administration of the commission has failed to take any effective action relating to those who are part of the ruling political regime and its associates. The commission is instead being manipulated for political purposes. It is used as part of reprisals against those who are politically targeted by the government. A clear example of this is the action taken against Chief Justice Dr. Shirani Bandaranayake. Corruption has spread to the extent that the country's business sector, including the foreign investment sector, is deeply affected by this problem. There are reports about many persons being threatened to sell their properties far below value. When so threatened, these persons have no option but to comply. Law enforcement officers are often a part of such corruption networks. The recent arrest of a Deputy Inspector General of Police, who is alleged to have been involved in the killing of a businessman on a contract given to him and a gang that operated under him, is an indication of the extent of the linkage between law enforcement agents and the networks involved in corruption. Many scandals that have come to public notice relating to the stock exchange also manifest the depth of the prevailing corruption. Given the crisis of law explained above, there is no solution to this problem of corruption. It is likely to spread even more and negatively affect all areas of life. The loss of memory also affects the whole of the civil administration. Previously, traditions were established to ensure rational administration within the civil service. However, all these habits have now been lost due to political manipulation, which the civil servants have been unable to resist. The loss of the discipline that was established through long years of education and development of individuals who personified the best aspects of rational administration will be one of the greatest problems that the country will be faced with in the future. One of the results of the collapse of the discipline in the civil administration is the large scale brain drain. Educated, well-trained and highly motivated persons who do not want to be a part of corrupt system of administration look for other avenues of employment, which they often find outside the country. This brain drain will also be one of the factors that will create very serious negative consequences for Sri Lanka in the future. e). Rising intolerance. Undermining the law and administration of justice has provided a base for any kind of fanatic to provoke violence against others. There are often attacks on minority religious groups. There have been reports of attacks on mosques and churches. Hate speech against one religious group by another is also common. Thus, the crisis of law has removed the environment that is needed for tolerance and peaceful coexistence. When government comes under criticism about the failure to prevent such attacks, it makes some public pronouncements about protecting minorities. However, when the whole legal system is in chaos, the government does not have the capacity to do anything beyond making such pronouncements. The provocateurs manipulate the crisis of law enforcement to their advantage. f). The North and East, and prolonged conflict related issues. The overall crisis relating to the law and system of administration will remain the greatest obstacle for achieving a solution to the specific problems in the North and East, including conflict-related accountability and the reconciliation issues. The displacement of the civilian police, and the replacement of it with military, intelligence services and special security services, have had a profound impact on the situation in the North and East. The government’s propaganda, carried out through its media channels, about the possible return of the LTTE also profoundly affects this situation. If law is not going to be the basis of social organization, then how could the problems affecting the people of these areas be resolved on the basis of equality before the law? The crisis of the legal environment of Sri Lanka is the most fundamental problem that affects all its minorities, including the Tamils. Unfortunately this issue is not being raised with adequate seriousness by the Tamil diaspora, who still want to find the solution to problems in the North and East alone. However, such a perspective is practically impossible to implement as the overall crisis of the legal environment is the unavoidable obstacle in every step of the way to finding a solution to the minorities’ issues. Additionally, those who oppose special attention being given to the minorities’ issues are able to manipulate the crisis of the legal system to the disadvantage of the minorities. The highly provocative political environment in the country could be manipulated to cause disturbances for some time to come. g) No implementation of the LLRC recommendations. The precondition for the implementation of the LLRC recommendations is the rule of law. As repeatedly shown in this report, the overall crisis of the administration of justice is incompatible with the rule of law. It this incompatibility that effects the implementation of LLRC recommendations, which have been the core issue of the contestation between the government and the international community's demands for peace and reconciliation. h) Overall negative psychological impact of the crisis of law and administration of justice, and the resulting insecurity of the entire population. The entire population of Sri Lanka is psychologically oppressed due to the environment of lawlessness and the absence of protection through a functioning system of administration. This psychological condition affects the health of the people. While all are very badly affected, it is the children who suffer the most. They lack an environment within which they could develop their personalities on the basis of positive human values. The scars caused by these psychological situations will have a lasting impact on the future of all these children. Students studying in the universities are being adversely affected by this psychological environment. The government often treats the students as a possible threat to security. The highly disturbed environment also prevents a regular way of life for these students and exposes them to many difficulties in engaging in their academic work. The women are especially affected by this environment where insecurity becomes the normal way of life. Thus everyone is facing a traumatic situation all the time and there is no way of out of it. It is pertinent to note that the Russian-made and Russian-repaired infamous submarine Sindhurakshak that exploded on August 14, 2013 and killed 18 precious Indian lives was headed to some unknown destination for some unknown assignment. Can anyone say what was the destination of this vessel? What was the mission? Who is responsible and who has the liability for such an explosion? What was the total cost? What was the repairing charge? What is the safety of such sub marine? Who is responsible for 18 lives? We need to study all the submarines in India? We need to study all the Russian MNC products including Koodankulam Nuclear Plant? What kind of enquiry is taking place? Can we expect any truth out of this kind of Defense Enquiry ? 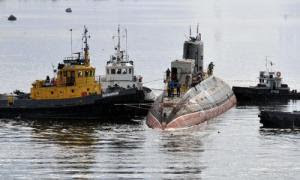 The submarine was built in 1997 at the St Petersburg’s Admiralty Wharf. as per the PTI report of August 14, 2013. According to the same report The INS Sindhurakshak is under Russian warranty until January 2014., Russian Zvyozdochka company, It was recently under repair costing $80 million. Analysts believe India is forced to continue purchasing Russian military parts because it still operates so many Soviet-era warplanes and vessels. We are in the vicious Circle. Our poor Navy Mariners and Air Force Personals are the victims. The situation is quite bad. The US-based Center for Strategic and International Studies estimates that cumulative defense sales between the two had grown “from virtually zero” 10 years ago to more than $8 billion today. We are totally depend on the US and Russian Companies for all our defense dealings. All these companies are corrupt and the Russian Federal Security Service in February 2012 arrested ZiO-Podolsk director Sergei Shutov for corruption and fraud, in particular buying low-quality materials on the cheap over the years, and passing them off as high-quality components. We are in the vicious circle of Nuclear Weapons and Submarines. Nuclear weapons are extremely costly, with anticipated global expenditures for the next decade at over $1 trillion. The US plans to modernize its B61 bombs, which it deploys in five European countries, at a cost that is more than two times that of building them out of solid gold. Nuclear weapons take away resources from the education of the world's children, medical treatment from the world's sick and infirm and food from the world's hungry. Nuclear weapons divide us when we need to unite to find cooperative, diplomatic and nonviolent solutions to the great global issues of the 21st century. Only nine countries have nuclear weapons and, of these, only two countries, the US and Russia, possess more than 90 percent of the more than 17,000 nuclear weapons in the world. Nukes are not useful, nor are they status symbols. Nukes are nuts. Every man, woman and child on the planet can understand that nukes are nuts. So, if we understand that, what are we going to do about it? My answer is to wage all-out peace with a sense of urgency until the last nuclear weapon is eliminated from the planet. We would be nuts to settle for anything less. ( David Krieger, Truthout ) Every explosion is a reminder of our safety. Is PM,or Antony, responsible for our safety? Let us stand together for our safety. No more Three Mile Island. no more Chernobyl. no more Fukushima, No more Bhopal Gas Tragedy, No more Explosion of INS Sindhurakshak Submarine. We cannot be slaves to the Russian and US MNCs. New Delhi, August 13 : The Consensus on the Bill amending Land Acquisition Act 1894 have eluded for long and that's the one reason that it has been under the discussion for 7th year now. It was introduced in the 13th Lok Sabha in 2007 as two separate Bills and in 14th Lok Sabha as a comprehensive Bill, as demanded by us, which is a welcome step. However, after its introduction in 2010, Bill has got changed for worse and continues to advocate acquisition for PPP projects, private projects, flexible definition of 'public purpose', and acquisition of agricultural land undermining not only the livelihood of the communities dependent on the Bill but also the food security of the nation. 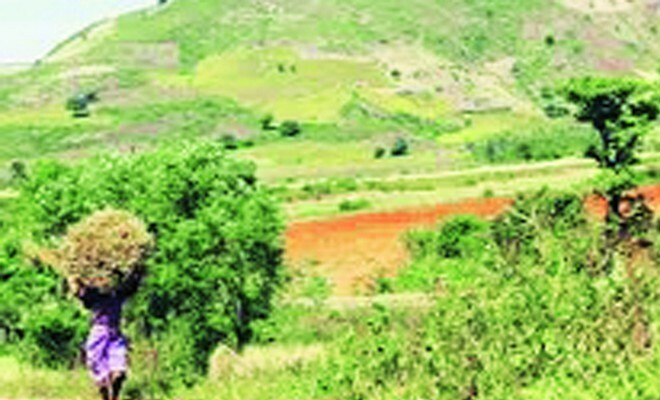 The bill though has some positive points to its credit like seeking a majority consent, conducting Social Impact Assessment, expanded definition of project affected persons, return of land in some cases to land owners but overall states role in acquisition has increased and law is titled towards facilitating land acquisition. The amendments tabled in Lok Sabha, which were later withdrawn last year, neglected major recommendations of the Parliamentary Standing Committee on the Rural Development. In the long drawn discussion on various issues, it is unfortunate that towards the end point of discussion was just limited between BJP and Congress on the issue of lease of land and increased monetary benefit to farmers whose land were wrongfully purchased by middlemen. Communist Party of India (Marxist) has moved over a hundred amendments to the Bill, which has not been taken up by the government. It is against the parliamentary democracy that a unanimous report, across the party line, of the Standing Committee is not given due importance before finalizing the draft and being introduced in the Parliament. We would also like to point out that whole process since PSC gave its report has been extremely opaque and other stake holders have not been shared any detail with, even after repeated requests. Mr. Jairam Ramesh, Minister of Rural Development have eagerly met various groups on many occasions but once it went to the Cabinet, many of us have remained in dark, and only got news from media. The pre-legislative process must involve the stake holders at all levels, rather than media being the only source of information. There is no doubt that the union government was compelled to bring in certain provisions to control the unjustifiable forcible acquisition of land and associated Natural Resources, such as minerals, for the private companies and their projects. The consent of 80% of affected land losers in the case of private projects and of 70% for PPP projects has now become a precondition, which no doubt is a major change. However, why not consent for the Government projects, as recommended by Standing Comiittee? Infact, excluding the Government projects & all Infrastructure projects, has left the Bill a lame one, and not applicable to land acquisition in many conflict ridden projects. It is also unacceptable that out of 16 central acts and 100 plus state acts under which there are provisions for forcible land acquisition, only 3 acts are brought under the purview of the new Bill i.e. SEZ Act, Defence Act and Cantonment Act, against the standing committees recommendations. This also means that most of the private or public projects where land is being acquired under Mines and Minerals Act, or State wise Industrial Development Acts, or National Highway Act, Coal Bearing Area Act, etc will remain outside the ambit of this Bill. There is only a recommendation made that all necessary laws may be amended and brought under this act within a year. It may be done partially as in the case of PESA act. So, the remote possibility of its retrospective application will not have much impact and only in cases where only LAA is being used will get some relief. All this indicates that the British legacy is mostly to continue, with some exception. The UPA has lost the opportunity to make the development planning truly democratic and bring in the role of Gram Sabhas and the Urban Basti Sabhas in planning all the projects, including government and private projects. The Bill also rejects the Standing Committees recommendation to leave all agricultural land under cultivation out of the purview of forcible land acquisition. Instead it no doubt puts in certain preconditions such as bringing in alternative land under cultivation for acquiring multi crop land as the last resort, but that does not prevent acquisition of single crop land. Thus 75% of India’s farmers engaged in rain fed agriculture will continue to have sword of land grab and eviction hanging on their heads. The Bill also gives State Governments undue freedom to decide what percentage of irrigated land in a district can be acquired, when it is a issue of national importance. The food security of the country will be jeopardised, we wonder how will UPA ensure the amount of food required for Food Security Bill if they continue to brazenly acquire the land from farmers, 180 lakh hectares of land diverted in two decades. Ministry of Rural Development has recently come out with a land reform policy, yet we wonder how will they ensure land for the landless. The current bill is completely antithetical to the whole idea of protecting land rights of those who already have land, and it will make more people landless. There is no doubt that while Resettlement & Rehabilitation is linked with Land acquisition and for the first time, been brought into a single act. However, the R & R provisions are more cash based and seem not to be providing for an alternative Livelihood as a mandatory measure. There is a strong doubt therefore that the increased offer of high cash compensation including 100% solatium, will act as a luring force to make the farmers loose land. In the present situation of inequity between the prices for the agricultural produce vis-à-vis industrial products and services this is surely to happen. Provision of one hectare of land for SC/ST or 1 acre of land in the command area for irrigation project affected SC/ST Families is highly inadequate and will neither ensure alternative livelihood nor better standard of living after rehabilitation. It is also unnecessary that the Bill leaves Resettlement and Rehabilitation responsibility for the Private project proponents, to be decided by the State Government. The monitoring of the R&R measures are certainly bureaucratically loaded. The role of Gram Sabhas necessary for democratizing the planning to monitoring process is certainly lacking. The much awaited Bill that was pooh poohed by the UPA as a solution to the enormous injustice and related resistance to land acquisition, is therefore to disappoint many. No doubt there is some change that has come as a result of strong peoples’ movements across the country, inspite of unprecedented pressure tactics from the Corporates. However it is unlikely that the new Act will resolve the serious conflicts between the State and Farmers to Fishworkers, as also Labourers, unless the above flaws are removed and many basic amendments are made. May we hope that the Country would witness not the unethical alliance politics of the kind seen during the FDI debate, but a serious discussion that would pave a way for resolution of conflict over land and all natural resources. Cabinet Committee on Investment is another conspiracy to facilitate investment with minimum or no conditions, when there is respective Ministry and Authority with expertise, why should there be further 'pressure' from other Ministries with different goals and motives, such as Finance, as interface in the specialised task of other ministries such as Environmental or Tribal Affairs, one may ask. Corporatisation of State is the reason for such moves killing the protective channels. From remote Bihar Chapra to blooming Mumbai, where by children died and are dying silently due to sheer negligence and lack of proper vision and policy-progs on MDM&ICDS.The Chapra incident where by 22 children died by eating midday meal (MDM) must be an eye opener and opt for change and so the children dying in Mumbai slums due to malnutrition and lack of proper healthcare. MDM and ICDS are the best Govt welfare schemes, it has made substantial changes though more and effective things can be done on delivery side. But it must also be noted that Govt. schemes are not charity but they are justifiable rights which must be delivered efficiently to beneficiary with due dignity. As a representative of SC to Advisor on Right to food(Mah. ),I had visited Wada-Vikramgadh-Jawahar-Mokhada in District Thane on 16-17 Oct 2012,surveyed four anganwadis(AWCs) and four Zilla Parishad schools for midday meal(MDM).I want to share my suggestions and inputs albeit after nine months the situation remains somewhat same(Report enclosed).We need to conceptualize from Chapra incident by not ruining our future generations and deviate from ICDS(Anganwadis) and MDM vision.ICDS is the world's oldest and largest child services program, started in 1975 to tackle malnutrition and provide pre-school education to children younger than six, while midday meal (MDM) is an irreplaceable and crucial programme with the potential to provide food and nutrition inputs to most deserving and vulnerable sections of our population. I do endorse suggestions made by Dipa Sinha from Right to Food (Delhi) and Nikhil Dey from MKSS to implement, that the standards of states such as Kerala and Tamil Nadu have to be made the norm, and improved upon. Parent and community-based school management committees, mandated under the RTE, must be immediately established and involved in monitoring the quality of not just the MDMs but schools as a whole. Social audits of the scheme, as piloted in Andhra by the state social audit directorate, have already shown great potential to provide an effective platform for citizen-monitoring. Assigning monitoring responsibilities to officials at all levels from the village, block, district and state, as seen in Tamil Nadu, must be replicated. The MDM scheme also needs an effective grievance redressal mechanism. so; I do endorse to increase the share by State and Centre to make MDM more viable, inclusive in terms of nutrition and effective ie: to increase by providing a total of up to Rs 10 per child, per day in a 3:1 Centre-state ratio, without being told that our economy will collapse and our credit ratings will fall? Immediate passage of the grievance redress bill pending in Parliament can help by setting up an independent and decentralized mechanism where complaints are addressed effectively and in a time-bound manner. Apart from legislative and administrative measures, nothing will help more than each of us promising to give an hour a week to our local government school, and helping in the MDM.A good quality MDM can go a long way in ensuring at least a part of the children's right to food. Our money, time and attention can make all the difference. Learning from Chapra incident and things not to be retrograde, I do suggest a strong mechanisms to be evolved by making in ‘Food Safety Forums’ involving health experts, teachers and parents at every school level to check in quality, nutritious value& to prevent adulteration and contamination of MDM food supplied.